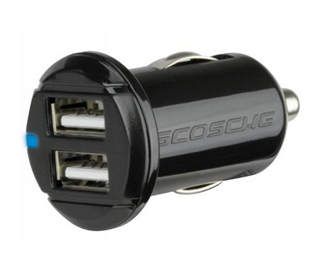 The Scosche reVOLT c2 is a low-profile dual USB 10 watt (2.1A) car charger. The dual USB ports can charge two iPads at once. The ultra low-profile design fits flush in most power sockets. This car charger packs colossal power into a modest frame! !